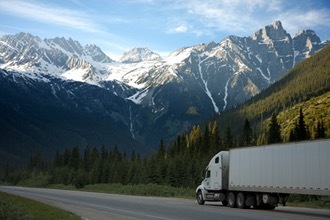 Significant verdicts in cases involving large truck accidents are on the rise. That’s according to an article from The National Law Review. We’ll talk about it in this issue. Before we go further, it’s important to note that large trucks are vehicles that weigh more than 10,000 pounds when not carrying cargo. Federal law mandates that truck companies cover their drivers with up to $750,000 in insurance per accident. Some trucking companies self-insure for about $1 million and then buy tiered or layered additional insurance to cover extra costs. Even though the number of fatalities in accidents involving large trucks had actually declined by 20% over the past decade, the number increased last year. Beginning around 2011, large settlements and verdicts in large truck accidents became a bit more frequent. According to The National Law Review editors, there have been at least six cases since then where a settlement or verdict topped $20 million or more. A Georgia widow settled for $42 million in 2011 because her husband lost his life after being struck by a truck driver who ran a stop sign. Even though a jury had originally awarded her $40.2 million, the award was increased to more than $55 million before she settled with the trucking company. A Texas family was awarded $105 million after one of their members was struck and killed by a truck’s drive shaft that had detached and smashed through his windshield. The jury ruled that the truck hadn’t been properly maintained. A 2014 incident garnering world-wide attention involved comedian Tracy Morgan. Morgan was one of several people injured – one fatally – when a Wal-Mart, Inc. truck was involved in an accident. The family of the man who died settled with Wal-Mart for $10 million. Morgan and Wal-Mart eventually settled for an undisclosed amount. Because large truck accidents often cause serious injuries, victims may face high medical bills and even permanent disability. That’s why it’s crucial to understand your rights so that you’re not bullied into a lower settlement or even no compensation.